Curcumin is the active ingredient of turmeric, which is a plant native to tropical regions of Southern Asia. Although turmeric is perhaps most famous for its vibrant colour and its role as a culinary spice, the presence of curcumin means that it has been used in other capacities for years. Curcumin has recently been subject to exciting scientific research and the popularity of this special compound has soared. 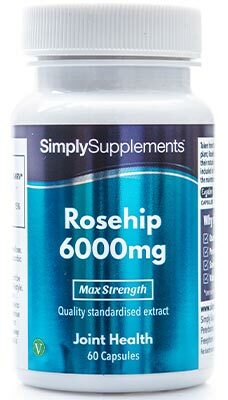 Expert resident nutritionists at Simply Supplements have formulated this supplement to provide a rich amount of vitamin C in every capsule. 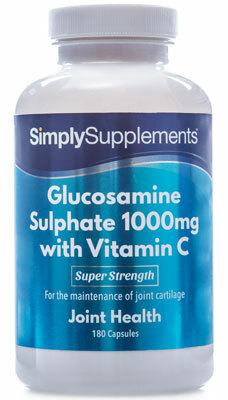 Vitamin C is thought by many experts to compliment the actions of curcumin. Also known as ascorbic acid, vitamin C contributes to normal collagen formation, which helps to maintain the healthy function of cartilage. 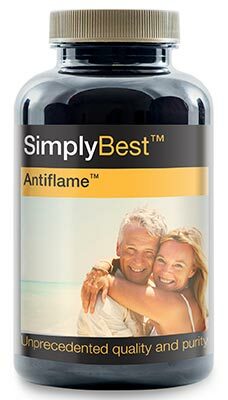 Moreover, vitamin C contributes to healthy metabolism, the function of the immune system and helps to protect cells from oxidative damage. 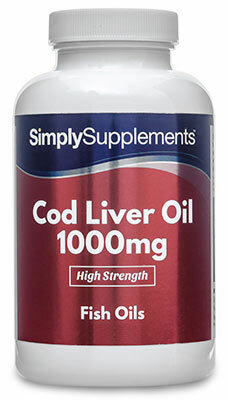 These claims have all been confirmed by the European Food Safety Authority (EFSA). 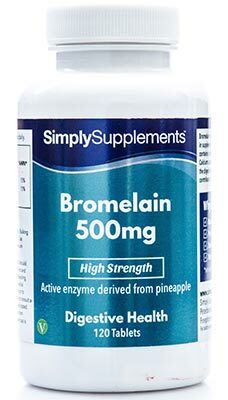 In order to help amplify the potential benefits that curcumin may provide to your health, Simply Supplements have added Bioperine™ to the supplement in an effort to boost the bioavailability of the curcumin. Curcumin is notoriously fragile in the body, and a lot of its concentrated nutritional value may be lost throughout the digestive system. Bioperine™ is an advanced extract taken from black pepper that is widely believed to help aid the absorption rates of other compounds. Combining both Curcumin and Bioperine™ together into one comprehensive, synergistic supplement provides you with a level of health support you won’t find anywhere else. 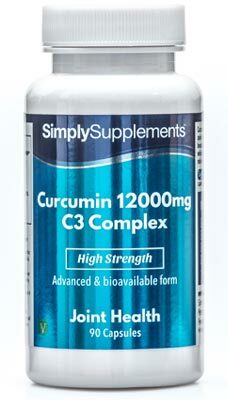 Simply Supplements high bioavailability Curcumin 12,000mg C3 Complex supplement is manufactured in the UK using state-of-the-art facilities and equipment. Every component that goes into the supplement is screened for toxins and other foreign contaminants that threaten the nutritional value. All finished capsules are rigorously tested, before being sealed in airtight tubs, which help to prolong the freshness of the product. This Curcumin 12,000mg C3 Complex supplement has been manufactured by our supplier to meet strict EU and Good Manufacturing Practice (GMP) standards and regulations.